Heart disease can afflict us at any age, however, as we age, our risk factors do increase. After all, our heart is this amazing organ that is the powerhouse that keeps on working continuously, even when we are asleep. Thus, it is critical to take care of our hearts as any decline in our heart-health could lead to a shortening of our lifespan. Like anything that is overused and undergoes repeated wear and tear, our heart also suffers naturally over time as we age. However, if we are mindful, there are a few things that we can do to maintain optimal heart health as we get older. Exercise: The American Heart Association recommends at least 30 minutes of exercise/ five times each week for overall cardiovascular health. This should be a combination of aerobic exercises and weight training for muscle strengthening. A combination of exercise and diet will help to maintain a healthy body weight since excess pounds is an increased risk factor for heart disease. Maintain a Proper Diet: A healthy diet for seniors according to the World Health Organization, includes: carbohydrate-rich foods like sweet potatoes and brown rice, protein-rich foods like salmon and beans, and at least 5 servings of fruits and vegetables daily. It is also essential to limit saturated fats, salt, refined sugar, and any foods such as fatty meats that can increase your cholesterol. Do Not Smoke: According to the National Institutes of Health, smoking is the leading cause of preventable death. It is best to not even start smoking as it damages the lining of your arteries which can eventually lead to heart attacks or strokes. However, if you are already a smoker, there are benefits to quitting even later in life. 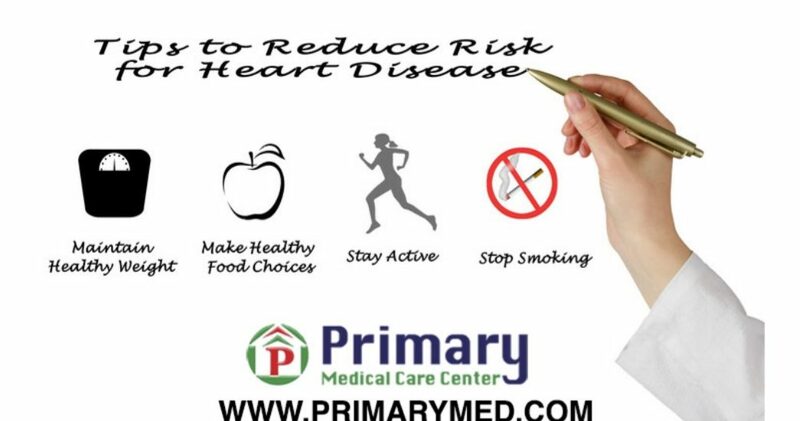 Your risks of heart disease are drastically reduced after only one year after not smoking. Get Regular Check-ups: Keeping up with your doctor’s appointments and specialist visits are essential. It is important to monitor any health conditions you may already be dealing with, and if you are not, you should be taking preventative steps to avoid anything from developing. Early detection is often the key to saving lives.